"This is not a juctice but pure profanity." Former President of Ukraine Viktor Yanukovych says that he does not intend to participate in the trial on the case of state treason and will withdraw his defenders from the trial. "I do not want to take part in the allegedly adversarial process, the outcome of which has been determined in advance. I decided to withdraw my defenders from the process. There are no doubts about their qualifications, but in the country of the destroyed justice, lawyers are powerless. It's not a trial, but pure profanity," Yanukovych said on Russia's First Channel on 6 July. The fugitive president also believes that Ukrainian prosecutors at all costs will try to convict and accuse him "of all past, present and future troubles of Ukraine." 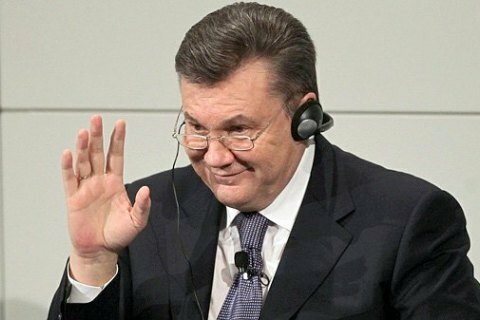 According to Yanukovych, under the pressure of the President of Ukraine Petro Poroshenko, special laws on in-absentia trial were adopted to ensure his conviction. He considers this to be a direct violation of the European Convention for the Protection of Human Rights and Fundamental Freedoms. On air of the TV channel Russia 24 Yanukovych suggested that the Ukrainian court will sentence him to life imprisonment in the high treason proceedings. "The Prosecutor-General [of Ukraine] has announced that the trial is to end on 24 August, and that it will rule on my life imprisonment," the ex-president said. In the meantime, a prosecutor of the military prosecutor Ruslan Kravchenko on the channel 112-Ukraine said that Yanukovych has the right to withdraw lawyers is his legal right and that he will be provided with free state lawyers in this case.